Ogilvy senior copywriter Andrew Hankin has created one of the largest attractions at this year’s Sculpture by the Sea exhibition on Bondi beach. Sculpture by the Sea is Bondi beach’s world’s largest free outdoor sculpture exhibition and runs until 9 November. 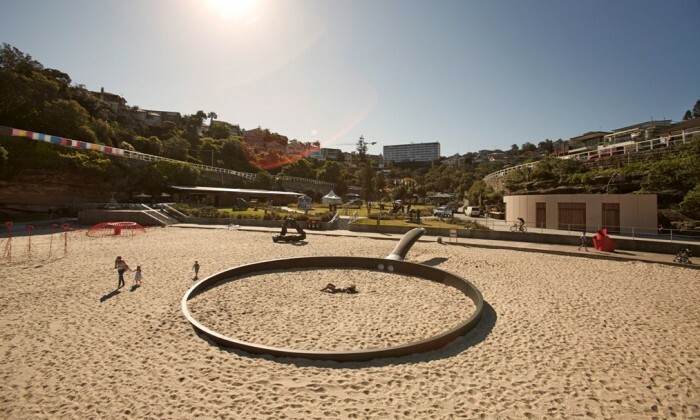 His work, called “We’re fryin’ out here” features an enormous frying pan located right in the middle of Tamarama Beach and is aimed to drive home a sun safety message this summer. This was done for one of OgilvyAction Melbourne’s clients – Ego Pharmaceuticals. “The powerful message behind the sculpture is intrinsically linked to the values of SunSense. We hope that by bringing this message to life in such a big way will resonate with beach goers to take care at the beach and use broad spectrum sunscreen with a very high SPF, especially with summer just around the corner,” Demelza West, SunSense brand manager, Ego Pharmaceuticals said. Ogilvy is part of STW Group, Australasia’s leading marketing content and communications group. In an age where data and therefore digital is increasingly running the show, is the traditional AOR model redundant? Here are the .. The Hershey Company has announced its intentions to rival the popular chocolate spread. ..